Gastroesophageal reflux disease (GERD) is also known as gastro-oesophageal reflux disease (GORD), gastric reflux disease, or simply acid reflux disease. It is caused by the chronic backwash or reflux of stomach acid into the esophagus. Most people experience acid reflux occasionally, but if reflux happens more than twice weekly or disrupts the patient’s daily life, doctors generally diagnose GERD. The most commonly reported symptom of GERD is heartburn, also termed acid indigestion. 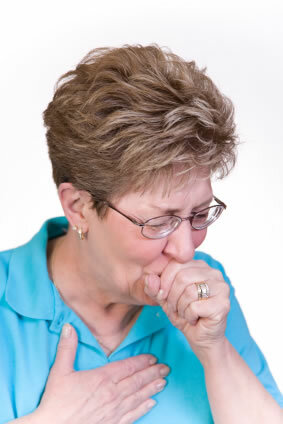 Heartburn can range from an uncomfortable warmth to a painful burning sensation in the chest or upper central abdomen. It sometimes spreads all the way up to the throat. Heartburn results when stomach acid and juices flow upward from the stomach into the esophagus, irritating the esophageal lining. A sour taste of stomach acid or bile in the mouth may accompany heartburn. Regurgitation of half-digested stomach contents may occur. Heartburn should not be confused with steady and severe chest pain, which can be a symptom of heart disease or another problem. Sufferers of GERD may report the sensation of a lump of the throat. This symptom is termed globus pharyngeus. It occurs when the inferior pharyngeal constrictor muscle attached to the esophagus near the voice box tightens in order to prevent stomach from backwashing into the voice box and mouth. Another symptom of GERD is difficulty swallowing, or dysphagia. The chronic irritation of acid reflux can result in severe esophageal inflammation and injury, creating narrowed sections of esophagus called strictures. These strictures physically interfere with swallowing and may block food on its way to the stomach. GERD can also cause other injuries to the esophagus, such as ulcers, esophageal cancer, and a condition known as Barrett’s esophagus. In Barrett’s esophagus, the cells at the lower end of the esophageal lining are altered. This cell alteration is associated with a higher risk of esophageal cancer. Other symptoms are not as commonly associated with GERD, but may still be caused by it. They include sore throat, dry cough, and laryngitis. Asthma, tooth enamel erosion, tooth sensitivity, sinusitis, and damaged teeth may also be related to GERD. The lower esophageal muscle (LES) is a round band of muscle between the bottom of the esophagus and entrance to the stomach. It serves as a valve for the stomach. When swallowing occurs, the LES relaxes, allowing food and liquids to enter. Then it tightens, closing the stomach again. When the LES fails to close properly after swallowing, or otherwise weakens and does not hold the stomach properly closed, stomach acid and contents can backwash up into the the esophagus. Chronic malfunction of the LES and subsequent acid reflux results in GERD. One direct cause of LES malfunction is a hiatal hernia. In a hiatal hernia, the top portion of the stomach herniates, or protrudes, through the diaphragm muscle and into the upper abdomen. This places additional pressure on the LES and makes it difficult for it to stay fully closed. Obesity, pregnancy, overeating, and chronic coughing may also play excessive pressure on the LES and result in its malfunction. Smoking is a major risk factor for GERD. Smoking weakens the LES, making it less able to function properly. Smoking also reduces the mouth’s production of saliva, which otherwise helps dissolve stomach acid, thereby decreasing the body’s protection against acid reflux. Other possible causes of GERD are less understood. A growing number of alternative health practictioners believe that the LES tends to malfunction when there is too little acid present in the stomach. This view is discussed further in the alternative treatments section. There are a number of lifestyle modifications that can help prevent heartburn. Avoid trigger foods. These are different for every individual. Fried or greasy foods, alcohol, sugary foods, chocolate, peppermint, coffee, garlic, and onions are some foods that may weaken the LES and cause acid reflux. Highly acidic foods such as tomatoes and citrus fruits may not cause reflux, but can worsen any heartburn irritation already present. If overweight, lose weight. Excess weight puts extra pressure on the abdomen, pushes the stomach upward and can cause acid to reflux into the esophagus. Do not wear clothing that puts pressure on the abdomen. Clothing that fits tightly on the waist, such as tight belts or waistbands, puts extra pressure on the LES and may contribute to reflux. Eat at least three hours before lying down. Lying down contributes to pressure on the LES and allows refluxed acid to travel further up the esophagus. Sleep with the head of the bed elevated. Placing six to nine inch blocks under the head portion of the bed allows gravity to minimize acid reflux. If the bed cannot be raised, it is possible to place a wedge (available from drugstores and medical supply stores) between the mattress and box spring. This raises the body from the waist up. Don’t overeat. Eating small meals several times a day puts less pressure on the LES and may prevent acid reflux. Many doctors diagnosis GERD based only on symptoms reported by the patient and response to prescribed medication. However, a number of tests can help determine if reflux is actually occurring. Any patient with doubts about their symptoms should request testing from their doctor. Esophageal pH monitoring is considered the most accurate diagnostic test for GERD. It involves inserting a pH sensor or sensors into the esophagus of a patient and monitoring acid levels for 24 to 48 hours. During this time, the patient carries out his or her daily routine. The test shows if and when acid reflux is occurring. In older versions of this test, the sensor or sensors were attached to a catheter extending through the throat and out of the nostrils and attached to a small monitor worn outside the body. However, wireless pH monitoring is now possible through use of the Bravo pH capsule. The capsule must be placed on the esophagus during an endoscopy, but it is then completely invisible and generally not felt at all by the patient. The capsule spontaneously detaches and passes harmlessly through the digestive system within several days. In endoscopy, a doctor inserts a very thin and flexible tube with a tiny light and camera, called an endoscope, through the mouth and down the esophagus of the patient. The patient’s mouth and throat are generally numbed with a topical anaesthetic beforehand to minimize discomfort. Sedation and general anaesthesia are also options before the procedure. Doctors may observe the state of the esophagus, LES, and stomach, including any signs of acid reflux. A tissue sample may be collected from the esophagus for further analysis. Endoscopy is useful for revealing signs and damage caused by GERD. However, it cannot observe acid reflux while it is occurring, unlike esophageal pH monitoring. Esophageal manometry, also known as esophageal impedance or an esophageal motility test, involves inserting a small catheter through the nose, down the esophagus and through the LES into the stomach. The catheter is then slowly pulled back out. The patient will be asked to take deep breaths and swallow several times. On the way out, the catheter records pressure changes and other data which is used to assess the functioning of the esophagus and LES. There is minimal discomfort to the patient during the procedure, which lasts about 45 minutes. This test is useful to help determine if a malfunctioning LES is contributing to acid reflux. This test involves a patient swallowing a liquid solution containing barium sulfate. The barium sulfate covers the surfaces of the digestive tract and acts as a radiocontrast agent, showing up white on X-rays. Doctors can observe the shape of the esophagus, LES, stomach and upper intestine, to see if there is a hiatal hernia or if the LES appears to be functional. They may also assess any visible damage from acid reflux. Due to its use of radiation and the availability of more accurate tests, a barium swallow X-ray may not be the top choice for diagnosing GERD, but it remains an option. There are a number of pharmaceutical options for the treatment of GERD symptoms. They involve either the neutralization of stomach acid or the blocking of stomach acid production. As with any pharmaceutical treatment, unwanted and harmful side effects are possible, particularly with prolonged use of drugs. Also, pharmaceutical treatments for GERD only treat the symptoms of acid reflux. They do not treat the cause of the acid reflux itself, which is malfunction of the LES. Antacids are composed of bases or basic salts which neutralize acid in the stomach. They are usually taken as chewable tablets upon onset of heartburn. When antacids are digested they buffer the acids in the stomach by raising the pH, offering quick relief from reflux discomfort. Some popular brands include Pepto-Bismol, Alka-Seltzer, Maalox, Tums, and Rolaids, all available over the counter and relatively inexpensive. Antacids provide only symptomatic relief for the pain associated with acid reflux. They do not treat the cause of acid reflux. Overuse of antacids can have adverse side effects, from the mild, such as constipation and diarrhea, to the severe, including milk-alkali syndrome, kidney stones, and kidney failure. Most doctors recommend that antacids only be used for occasional acid reflux. They generally recommend stronger medications for the chronically recurring reflux associated with GERD. Acid blocking drugs reduce or block the stomach’s production of acid. They are very commonly prescribed for GERD and fall into two main groups. This acid blocking drug prevents histamine from acting on the acid-secreting cells in the stomach. Normally, histamine stimulates the production of stomach acid. Therefore, H2 receptor antagonists reduce the stomach’s production of acid. Brand names include Tagamet, Pepcid AC, and Zantac. They are available in relatively low over the counter doses and higher prescription doses. They are moderately expensive. These drugs are recommended by doctors for mild to moderate GERD. They can be taken before a meal to prevent acid indigestion before it occurs, and are effective in reducing acid production for 6-10 hours. However, they do not treat the cause of acid reflux, which is generally a malfunctioning LES. They only minimize the discomfort and damage associated with acid reflux by reducing the acidity of refluxed stomach juices. H2 receptor antagonists are believed to be well-tolerated by the body in general. They may be taken as often as twice a day. Still, there are possible adverse effects, including hypotension, headache, tiredness, dizziness, confusion, diarrhea, constipation, and rash. There are also possible long term side effects associated with the reduction of stomach acid, such as poor absorption of nutrients and subsequent deficiencies. Proton pump inhibitors are drugs which block the proton pump, an enzyme system, from acting in the acid-secreting cells of the stomach. The normal action of the proton pump is the last step in stomach acid production. Therefore, the blocking of the proton pump effectively shuts down the acid production of a particular cell. Proton pump inhibitors are much more powerful than H2 receptor antagonists, and can block total stomach acid production up to 99%. The prolonged blocking of stomach acid production allows time for esophageal damage from acid reflux to heal. Due to their much greater strength, proton pump inhibitors have surpassed H2 receptor antagonists in popularity and become some of the most widely prescribed drugs in the world. Brand names include Nexium, Prevacid, and Prilosec. They are available in over the counter and prescription forms and are generally expensive. Proton pump inhibitors may be taken as often as twice daily and are thought to be well tolerated. However, possible side effects include headache, nausea, diarrhea, abdominal pain, fatigue, and dizziness, rash, itch, flatulence, constipation, anxiety, and depression. In addition, long term suppression of stomach acid can result in nutrient deficiencies and other serious health problems. These drugs promote quicker emptying of the stomach and can help tighten the LES. They work by increasing the rate of contraction of the small intestine, speeding the process of digestion. They include the drug Reglan. However, they can frequently cause side effects including nausea, diarrhea, fatigue, dizziness, and anxiety. They are sometimes prescribed for GERD in combination with H2 receptor antagonists. This combination of treatments can be expensive. They are rarely prescribed alone and are considered less safe and effective than proton pump inhibitors for the long term treatment of GERD. If lifestyle modifications and medications do not resolve severe GERD, doctors may recommend surgery to tighten the LES. Nissen fundoplication tightens the LES by wrapping the stomach around the base of the esophagus. Surgery may be open (through a long abdominal incision) or, more frequently, laparoscopic (done by instruments inserted through several tiny abdominal incisions). The surgery has a reported 90% effectiveness rate in eliminating reflux symptoms. However, like any surgery, it has a risk of complications, including gas bloat syndrome, dumping syndrome, trouble swallowing, excessive scarring, and recurrence of symptoms. It can also be expensive and may not be covered by insurance. Other surgical procedures include the EndoCinch endoluminal gastroplication, which uses stitches in the stomach to create barriers against acid reflux, and the Stretta system, which uses electrode energy to create scar tissue which strengthens the LES. Both procedures are still in experimental stages. Some alternative health practitioners believe that GERD results from too little stomach acid. They propose that a chronic lack of sufficient acid secretion in the stomach may cause the LES to loosen and promote acid reflux. They conclude that conventional pharmaceutical treatments for GERD, which neutralize, reduce, or block stomach acid, actually worsen the root cause of acid reflux and create drug dependence as well as long term health problems. Some alternative treatments for GERD increase stomach acidity and may keep the LES from opening and allowing reflux to occur. A spoonful of apple cider vinegar, a highly acidic natural substance, is an inexpensive home remedy for indigestion that increases stomach acidity and may relieve GERD symptoms. Lemon juice may be taken in a similar way. Digestive bitters include bitter herbs such as gentian root, dandelion, and goldenseal. Bitters have traditionally been used to stimulate the appetite and may increase production of stomach acid and digestive juices. Tinctures of digestive bitters are available in health food stores and are relatively inexpensive. 5-10 drops in a little water–just enough to create a strong taste of bitterness–may be taken 5-10 minutes before eating. Betaine Hydrochloride (HCl), derived from beets, it is a natural substance very similar in content to stomach acid. It usually combined with an enzyme called Pepsin and marketed in health food stores as a digestive aid. It is relatively inexpensive. 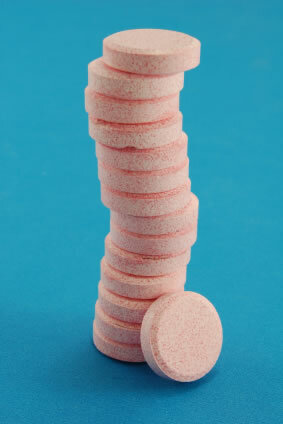 1-2 tablets may be taken immediately before a meal to increase stomach acid and may prevent reflux from occurring. They should only be taken just before eating due to the strong increase in stomach acid they create. They should not be taken by anyone using anti-inflammatory medication, including aspirin and ibuprofen. This is due to these drugs’ risk of damaging the stomach lining, which supplemental acid could aggravate. Other alternative treatments include herbs that may ease GERD symptoms by soothing esophageal irritation, such as slippery elm, chamomile, licorice, and marshmallow. They may be taken in teas and lozenges, or added to foods and drinks as powders. Acupuncture has been shown to relieve the discomfort of GERD symptoms for some patients. Meditation, relaxation, and reducing stress also reportedly reduce GERD symptoms. I am between the proverbial rock and a hard place. With Prilosec, my heartburn is done away with, but I am not digesting my food. This gives me excessive gas and nausea. It’s also probably preventing absorption of nutrients. Without it, I have heartburn every time I eat, which generally lasts from one meal to the next and makes life pretty much miserable. Any suggestions? Aloe vera gel drink is worth a try.It stopped my acid reflux in it’s tracks 4 0z a day has made a huge difference in my digestive health and overall health.It is even available at Wal Mart.This drink has a mild taste but I have used plants I have grown for two to three years and though it is bitter is a powerful antacid that works in minutes.The store bought drink is also effective. Pure aloe gel is not laxative unless it contains the yellow liquid which is an effective fast laxative. Give the aloe a try and maybe over the counter and Prescribed medicine such as Prilosec can be eliminated. No side effects or chemical dependency.